Powerful earthquake but very deep which decreases the impact a lot. A III to IV MM will be felt in a very vast area, although Earthquake Report does not expect the earthquake to be dangerous. IV MM = light shaking. The heaviest recent earthquake in the area occurred at May 30 1990. 135 people lost their live. 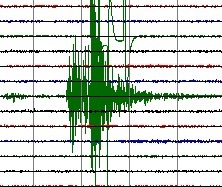 It measured M 6.5. The epicenter of this killing earthquake was more north. 855 ‘Felt’ reports came in with GNS Science for this powerful but deep earthquake. 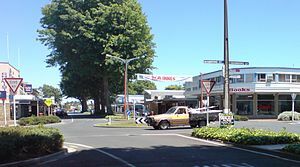 The epicenter was located near Tokoroa in the Waikato district, only approx. 30 km from Rotoroa, well known by tourists. Most of the people have reported a MM IV = light shaking. Based on the 200 km depth of the hypocenter these reports match. Also because of the depth, the earthquake was felt in a very wide range around the epicenter the same way.